I graduated from Premont High School in 1983. I graduated from Texas A & I University in Kingsville, Texas in 1992. I have a Bachelors Degree in Elementary Education with a Specialization in Math. 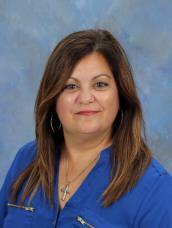 I began teaching at Beeville ISD in August 2013. I have been with Beeville ISD for four years. I have taught seventh and eighth grade Math and Algebra I.
I starting my teaching career in August 1992 at Mathis ISD. I taught for twenty-one years at Mathis ISD, Mathis, Texas.